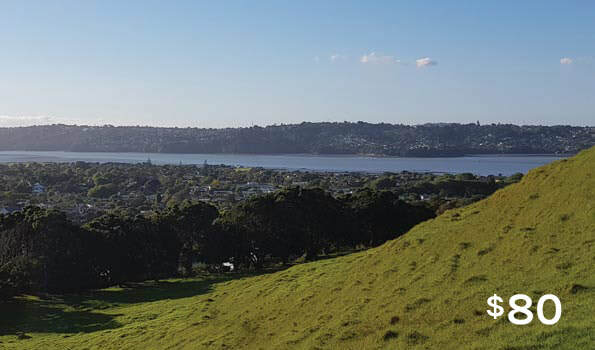 We offer four Auckland walking tours, Manukau Harbour Revealed, Auckland Botanic Gardens, Waitakere Wilderness and the Magic of Muriwai. 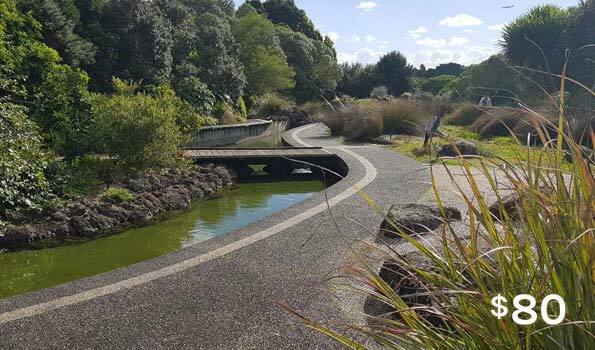 This spectacular South Pacific Garden is widely recognised for it’s outstanding plant collections, home to more than 10,000 plants from around the world and it’s unique Auckland regional identity. Enjoy the easy walking paths and walk at your own pace, allowing time to view this spectacular garden, with points of interest and information along the way. These stunning gardens and landscapes reflect a special, distinctive South Pacific flavour. Join our guided tour as we explore a South Pacific Garden. 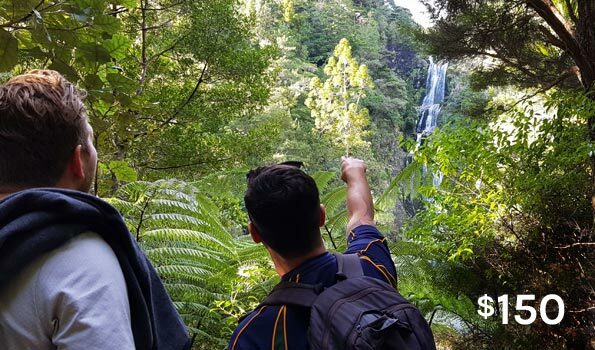 A guided day tour of our treasured Waitakere Ranges Regional Park. Learn about the traditional Maori pou carvings and experience a cultural Maori greeting (mihi). Easy walking tracks, breathtaking views of bushland, kauri trees, wetlands and stunning waterfalls. Experience the Wild West Coast. Our day tour visits Muriwai’s magical rugged coastal headland. Short walking tracks lead to panoramic views of the Tasman Sea and beyond. Visit Maori Bay popular for surfing, and further out to sea, on Oaia Island you may see fur seals. 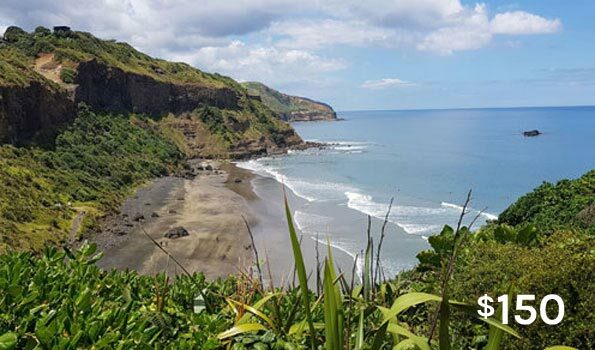 Take the Takapu Refuge Walk out to a viewing platform on Otakamiro Point right above the gannet (takapu) breeding colonies. Our native Kauri trees throughout the Upper North Island are being threatened with extinction from Kauri dieback. Learn how you can help to stop spreading this disease.